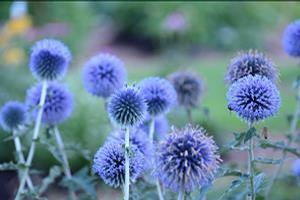 This is a showy tall variety with globular, thistle-like, steel blue blossoms on sturdy stems. Tolerates poor quality soil and drought. Blooms in July and August.